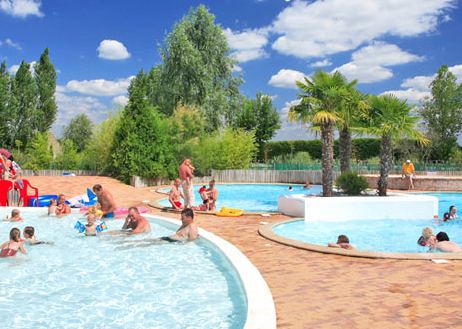 The campsite offers all year round swimming in it’s indoor swimming pool plus spa and has an outdoor pool from May – August. Facilities also include restaurant, shop, entertainment, tennis, children’s play area and gym. Nearby offers fishing, wine tours, cycling and numerous places of interest visit and enjoy. Emplacements all have a good levels of sun, we highly recommend a visit to see this stunning campsite for your next mobile home.